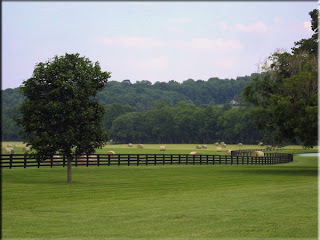 Recently a local bank has foreclosed on two $1+ million estate homes in the Leipers Fork area of Franklin, TN 37064. For those of you not familiar with Leipers Fork, it is best described as a sleepy estate home town with rolling grassy hills, lazy streams, and the town Sherriff with a bubble gum machine on the roof of his car. It is a wealthy area full of country music stars and their equestrian facilities, but it’s real appeal is that Leiper’s Fork is really just a part of Franklin and no more than 25 miles from downtown Nashville. The two bank owned homes are each brand new construction, they both sit on at least 5 acres, and have at least 6,500 square feet. The smaller house is priced at $1.25 million and the larger is $1.35 million. The bank is not in too big of a hurry to dump these homes at the moment, but that will probably change as summer arrives. It is my guess that these homes will eventually be bought at a significant discount at that time. Why the secrecy? Why don’t you just give the address and post the pictures of the homes? A lot of people read this blog and the bank has asked me to discretely find a buyer for these two homes, out of respect for their wishes, I simply cannot. If you always wanted to own a country estate and would like for me to send you all of the homes’ information, just shoot me an email or call 615-945-7123 and ask for Grant Hammond. How Will Subprime Loans Affect Nashville?